The 2019 Porsche Mission E could make the Tesla Model S look, uh, bland? 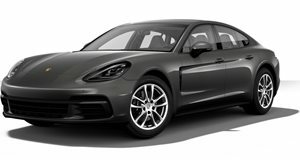 Porsche’s current CEO, Oliver Blume, has been on the job for only two years, replacing Matthias Muller, who is now CEO of Volkswagen Group. Let’s just say there was a major upper management shakeup post-Dieselgate. Anyway, Blume who was formerly Porsche’s head of production, inherited a hugely successful brand, rich with history, and had already set a course for the future. The Mission E Concept, due to hit the market in production form in 2019, is proof. 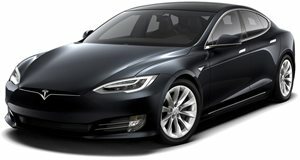 Is it a Tesla Model S fighter, or something beyond what the Silicon Valley carmaker has done so far? Blume insists to The Financial Times that it’s not a Tesla fighter. "What Porsche is doing is to follow our own way. We did it in the past and we’ll do so in the future. Therefore it’s not so important what Tesla does." Blume does, however, give full credit to Tesla founder and CEO Elon Musk for bringing to market innovations such as iPad-size displays and, in general, moving the auto industry forward. But Blume only sees what Tesla has done as "the first step." Porsche and Tesla, though they both build cars, are very different companies. For example, Porsche is a traditional carmaker. Tesla, though it’s publicly traded, behaves like a high-tech start-up. “For us, (generating profits) is the main topic, for Tesla it’s not,” Blume said. If the 2019 Mission E is a success, and there’s currently no reason to think it won’t be, then Blume would like to launch an all-electric Porsche SUV. But for now, Porsche sales are stronger than ever. 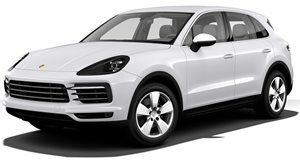 The all-new, third-generation Cayenne just launched, and, as The Financial Times added, the average Porsche sells for $99,000, which generates $17,250 in profit. In the first half of this year, 126,497 Porsches were sold. Do the math. Things are more than fine at Stuttgart. Because of high profit margins, Porsche is investing heavily in the Mission E, and chances are it’ll feature a ton of new tech that’ll even make Elon Musk envious.